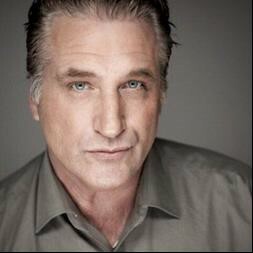 Daniel Baldwin, will be speaking at Paul V. Moore High School on December 7. The actor, director and a member of the Central Square community will be “sharing his experiences, strength and hope” as part of the District’s Redhawk University Program. CENTRAL SQUARE – Daniel Baldwin is “sharing his experiences, strength and hope” at the next exciting installment of Central Square School District’s Redhawk University. Baldwin is an actor, director and a member of the Central Square community, and would like to share his story regarding his battle with addiction. His goal is to give hope, strength and resources to help our community at large. The Redhawk University program runs for approximately one hour, each slated from 7 until 8 p.m.
Paul V. Moore High School hosts these events, with light refreshments being provided. The program is designed to inform the public about topics and issues that directly impact students and the community. Redhawk University is a monthly series of workshop presentations throughout the school year. Each is free to the community and includes guest speakers, along with other professionals to discuss relevant topics. The target audience for these informational sessions are our students’ parents/guardians and any interested community members, with the goal of keeping them informed on many important topics that impact our student population. These sessions are designed and facilitated by our Dean of Students and veteran staff member at Paul V. Moore High School, Mr. Damon Villnave, and our Director of Student Support Services and Interventions, with more than 20 years of experience and expertise in school social work, Jennifer DiBianco. “The Central Square School District is proud to have Mr. Daniel Baldwin speak about how experience, strength and hope helped him overcome addiction and how those attributes can provide a foundation of support for you or someone you care about,” said Villnave. Additional installments of the series include topics such as mental health, suicide prevention, internet safety, distracted driving, alcohol and drug prevention. For a full listing of Redhawk University Workshops, please visit www.cssd.org.